Oz recently received a delivery from SnapWag, a new customized dog subscription box. He was excited to open it and find all the goodies inside. SnapWag provided Oz a customized dog box to help promote their products and services. Oz the Terrier only shares information that we feel is relevant to our audience. SnapWag was founded by a few dog lovers in Southern California. They understand that dog owners live busy lives and that it is not always easy to run to the store to buy your dog treats, toys and/or food. It’s why they set out to create an all-in-one solution to make purchasing those items easier. In just three easy steps, SnapWag’s system will determine the food, toys and treats your dog needs as well as when to deliver them. First, you choose one of the type of boxes listed above. Then, you answer a few easy questions about your dog. SnapWag will make sure each box is handcrafted and tailored to your dog. Last, you schedule your delivery. 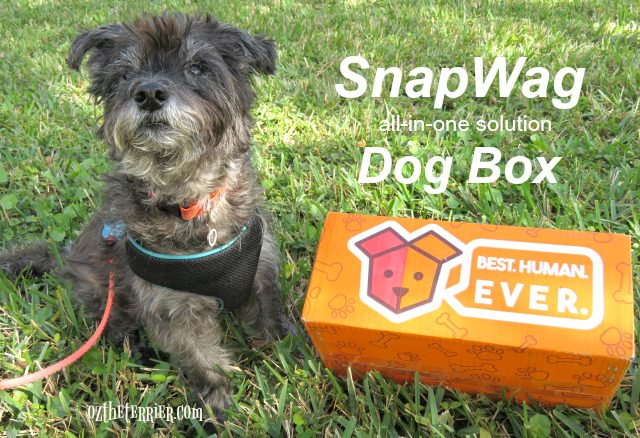 SnapWag will automatically deliver each box when your dog is about to run out of food. If anything changes with your dog, you can easily log into your SnapWag account and adjust shipments accordingly. 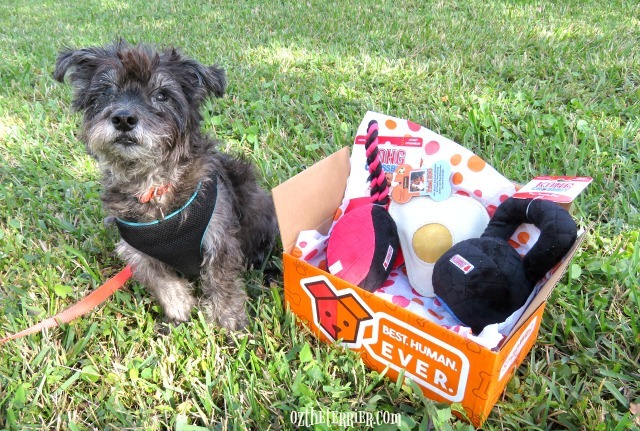 Oz received the SnapWag Play dog box which included three different types of treats as well as three durable dog toys – an Aussie Naturals Fried Egg toy and two Kong CrossBit dog toys. PAWSOME!!! A box of WONDERFUL goodies delivered to your door is just pawfect!!!! Now if I can just find Mum's fleasa card I'll be signing myself up! That is a very good service... it is good that you can totally Customize what you want and When you want it to arrive. It delivers FOOD, we'd be in that! We're not much for playing with toys unless they SQUEAK! Looks very festive and fun. We don't receive any subscription boxes but Mom needs to check into the SnapWag boxes. They look awesome! We will definitely have to check these out! Love that you can customize it to your dog's likes and needs!